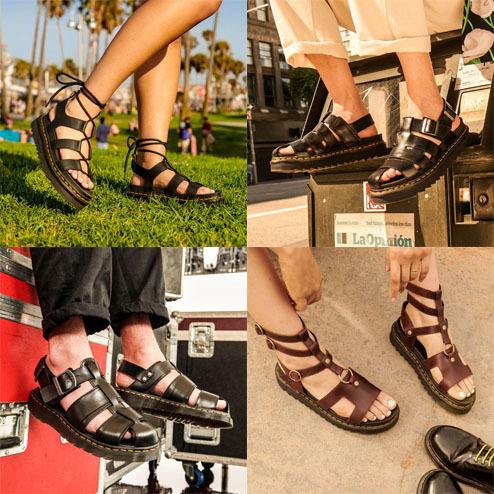 It’s sandal season at Dr. Martens in Broadmead. Less material doesn’t mean less Docs. 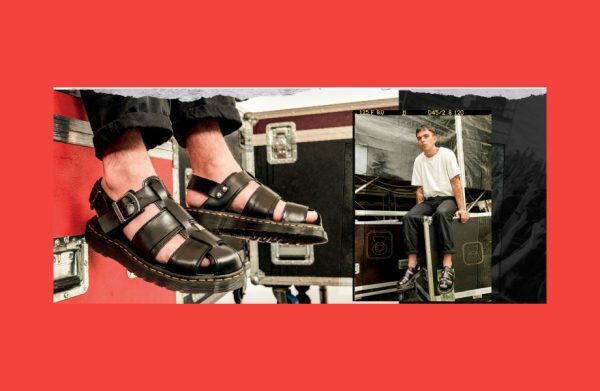 For SS19 they’ve updated their lightweight sandals collection. Their Zebrilus collection is a relaxed and casual take on summer dressing. These sandals will take the wearer from hazy street market days to languid festival nights. For SS19 they’ve added two new sandals to the Zebrilus family: the Ryker, a crossover mule with branded hardware and Abel, a new woven fisherman’s style. Even with their laid-back aesthetic, the sandals retain the core Docs DNA like yellow welt-stitch and durable sole. The first pair of Dr. Martens boots rolled off the production line of 1 April 1960. With its trademark yellow stitch, grooved sole and heel-loop, it was a boot for workers, initially worn by postmen and policemen; comfortable, durable and lightweight in comparison to its competitors at the time. Throughout Dr. Martens history, the brand has been adopted and subverted by diverse individuals, musicians, youth cultures and tribes. These are the people who stand out from the crowd and their journey of self-expression has always been accompanied by a pair of DM’s. The simple silhouette allows people to customise each pair; while on a utilitarian level their famous durability and comfort make them ideal footwear for the world of gigs and street fashion. On an emotional level, they are a flag of attitude and empowerment. The Northamptonshire factory where it all began still exists to this day, in the village of Wollaston. A specific range of ‘Made in England’ products are manufactured here by a small, close-knit team of people schooled in traditional shoe-making and the unique process that makes Dr. Martens like no other shoe on earth.